10 x 5.5 Pen and digital Texture. hehehe. Funny, and one of my favorite TV shows. Nice illo. Thanks for visiting my site. 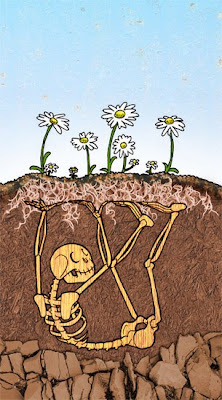 Your pushing up daisies image is a lot of fun! Cool! I love the texture in this one!